Hope you had a great weekend! 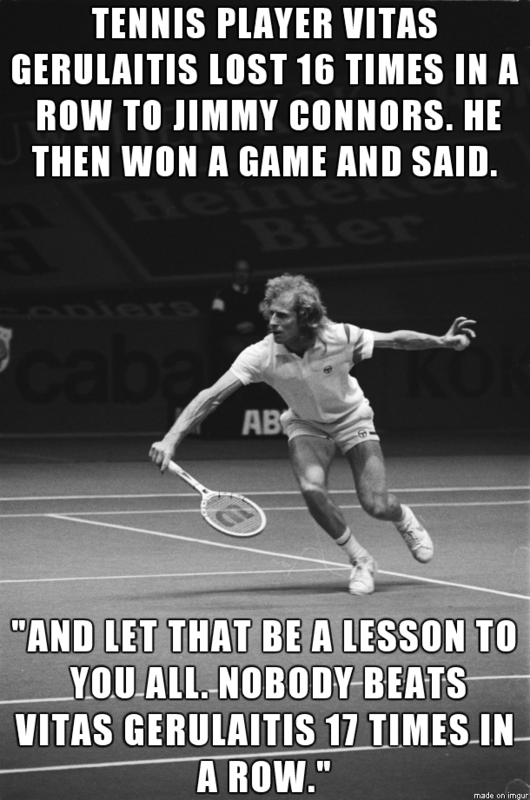 It’s Monday again, which means it’s time for a quote. I could just pick out quotes at random, but I try to select them based on what’s going on in my life. My hope is that other people can better connect to and feel inspired by the quotes if they can identify with them. With that said, starting work has been a tougher transition than I expected. Up until June, I had been a student my whole life. I went straight from high school to undergrad to graduate school. My world revolved around gaining the knowledge and skills I needed to graduate and to pursue a career in social work. My goals were clear and my time was finite. I needed to meet these certain requirements in this many semesters. Now I am working without an end date or a clear path ahead. Many people would feel a sense of freedom at this point, but I actually feel lost. I am definitely “Type A,” and the seemingly indefinite nature of this new period of my life overwhelms me sometimes. However, I am also begrudgingly thankful for my recent struggles. As a student, I gained knowledge and skills, but I wasn’t gaining wisdom. I hope and pray that the challenges I face will help me with judgments and decisions in the future, and I’m just feeling some growing pains right now. With that very long explanation, I chose a quote by Helen Keller about how our character is developed. I hope you find it meaningful, too! I cannot believe today is the last day of June. It’s been a big month for Derek and me. I started my first job, and Derek took his Step 1 and started his 3rd year of medical school. We’re making moves in the Pinkerton household! Happy weekend to you! I’m posting late again because I was having too much fun last night. Between studying for his Step 1 exam and traveling to California, Derek and I haven’t had much time together lately. We have declared this weekend “Ali and Derek Weekend.” Last night we went out to dinner at a local Mexican restaurant. After dinner we watched an episode of House of Cards (we’re obsessed) at home and then went to see How to Train Your Dragon 2. Derek and I are both big animated movie fans, and How to Train Your Dragon is one of our favorites. The sequel was just as good. We highly recommend seeing it! It was a great Friday night, and now I’m back to share videos, stories, and pictures that made me laugh or smile this week. Enjoy! Have you ever wondered how pop music is made? Watch the video below for step-by-step instructions on how to make a hit pop song. The one from the video is stuck in my head now. Watch it again and see if you can catch all of the Jennifer Lawrence references. I post a lot of animal videos, and this week is no exception. However, I’m stepping out of the typical dog and cat videos to show you Gary the goat. The gentleman narrating the video is Australian so please excuse the harsh language and enjoy the accent! If it’s not obvious by now, I get a lot of my recipes from Cooking Light, and I have another review for a recipe from the magazine. When I think about comfort food, “healthy” isn’t the first word that comes to mind. However, at less than 300 calories per serving, Diner Meat Loaf “Muffins” from Cooking Light are a healthier alternative to traditional meat loaf. Equally important, these “muffins” are easy to make and delicious. This recipe is a regular in our house, and below I provided a review of the recipe including tips and substitutions. Forgive me for the photos! Derek is off in California with the good camera, so these are from my iPhone. 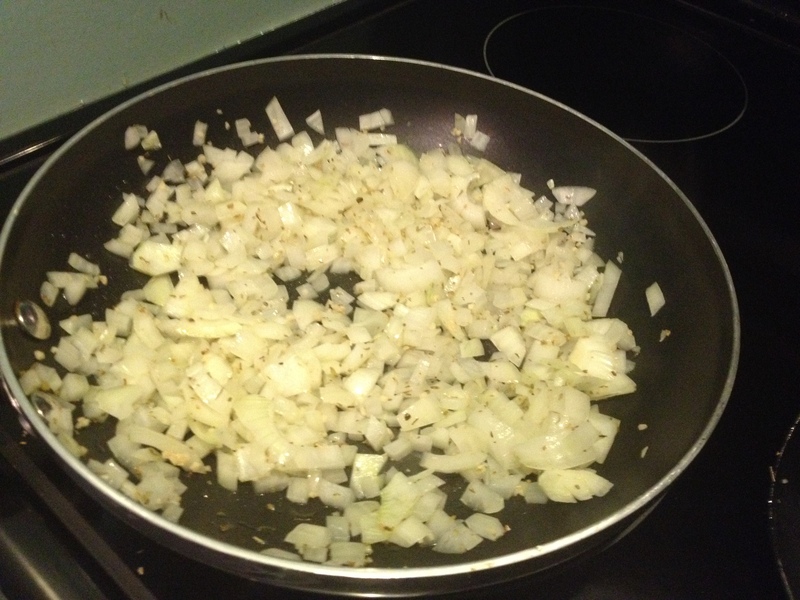 The first step of the recipe involves sautéing chopped onion, oregano, garlic, and carrots. I didn’t have any carrots on hand, so I left them out. Zucchini or mushrooms would also be good substitutes for the carrots. Though I didn’t do it this time, this step is a great opportunity to amp up the veggies. 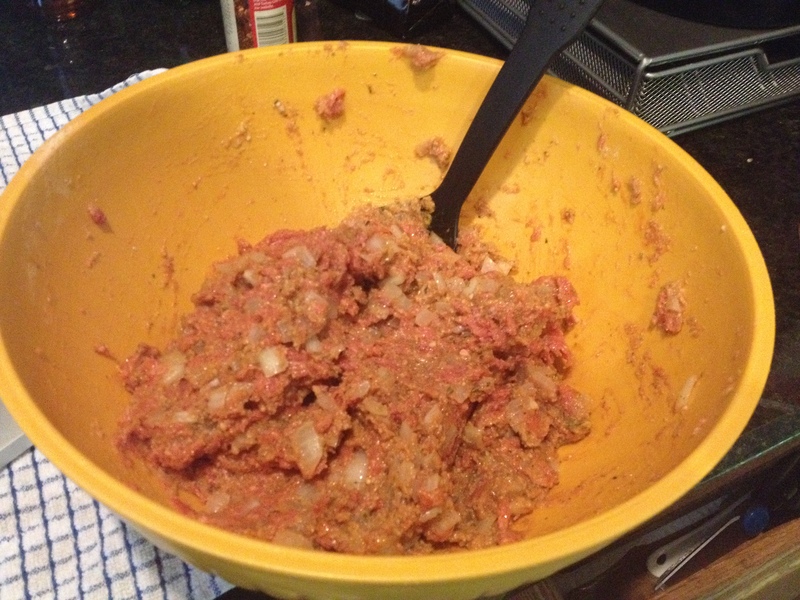 Next, the onion mixture is combined with ketchup, lean ground beef, mustard, Worcestershire sauce, black pepper, 2 eggs, and crushed saltine crackers. Instead of saltine crackers, I use Italian style breadcrumbs. I also use only 1lb of beef instead 1.5lb. Ground turkey may be a good substitute for the beef. 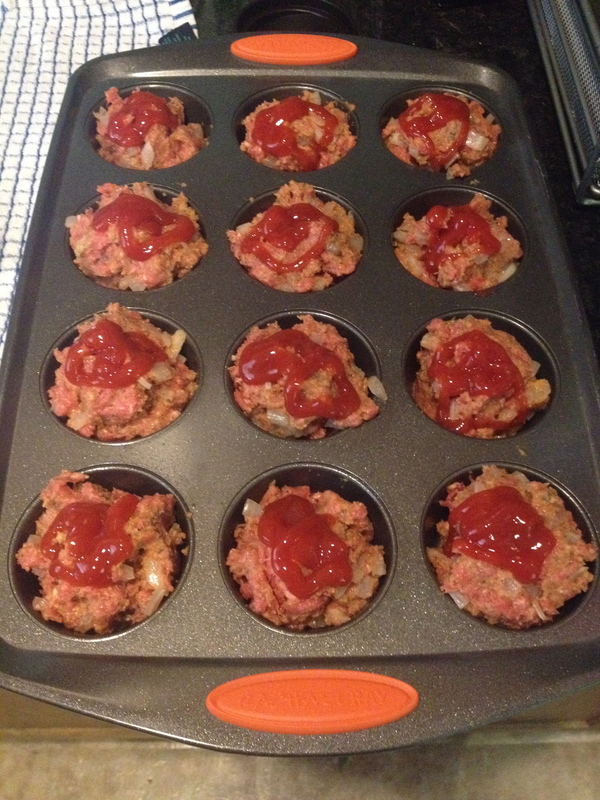 After mixing everything together, spoon the meat mixture into a muffin pan and top with ketchup. Make sure that the cups are coated with cooking spray so that the “muffins” come out in one piece. Simply bake at 350 degrees for 25 minutes. 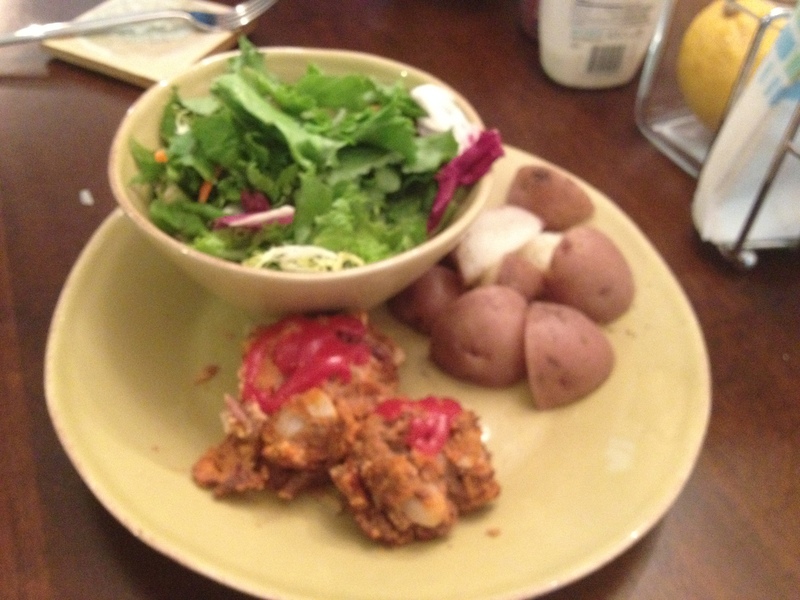 I served the meat loaf with boiled red potatoes and a side salad. It also pairs nicely with green beans and sweet potatoes. 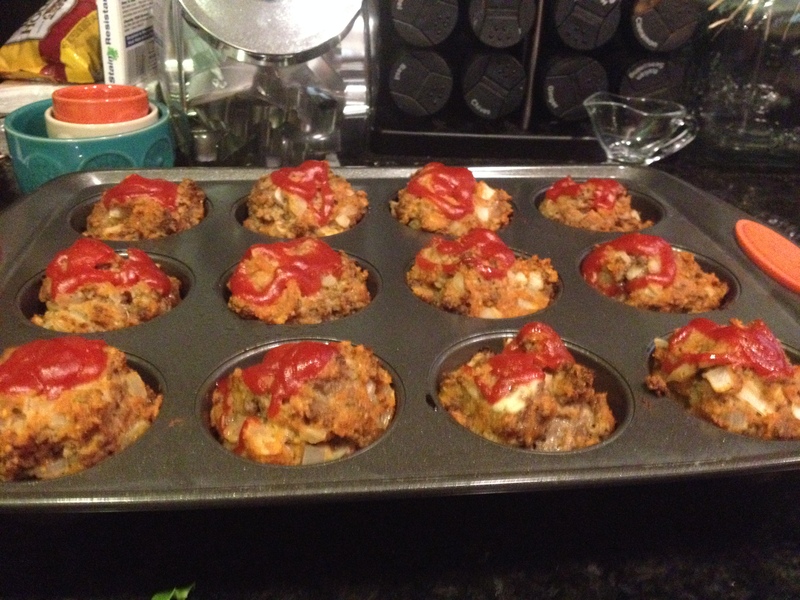 The meat loaf “muffins” always come out moist and flavorful. They’re a great option for kids and “meat and potatoes” eaters. Hope you enjoy them! It’s Monday, which means it’s time for a quote! Technically this week’s “quote” is scripture. Though the verse is from the Bible, I think it can be appreciated by people of other faiths or belief systems. The notion of putting love into action motivates me and inspired me to become a social worker. 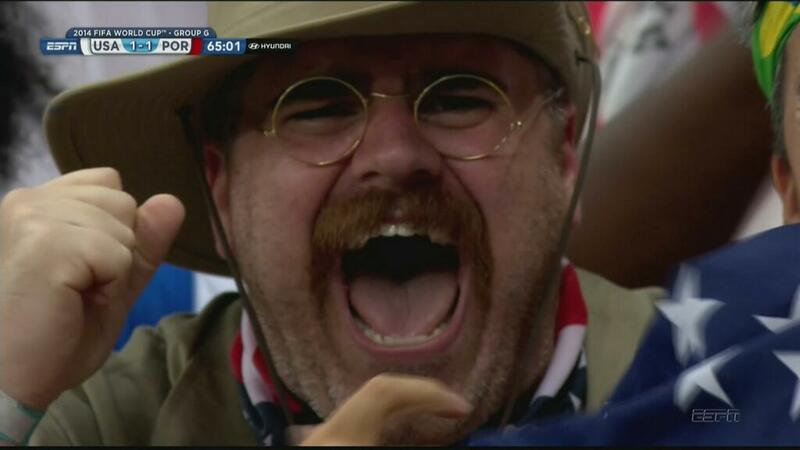 It’s Friday! Hallelujah! This week was TOUGH. Anything that could go wrong did go wrong at work. However, I like a challenge, and I really enjoy working with veterans and their families. They’re such a unique, special population, and it’s an honor to serve those who served. Anyway, it’s time to separate myself from work by looking back at some things that made me smile or laugh this week. My fun Friday posts make it clear that I’m a big Jimmy Fallon fan. I try to mix things up, but I just have to share this one. Behold, The Roots’ Harry Potter rap. The Roots + Harry Potter= a happy Ali. 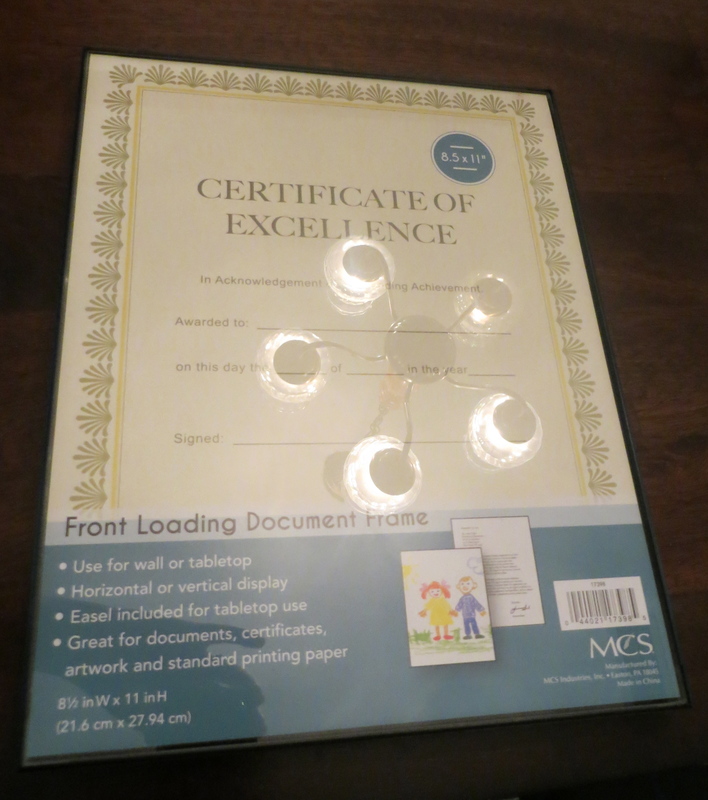 Earlier this week I bought a frame for my clinical social work associate’s license. 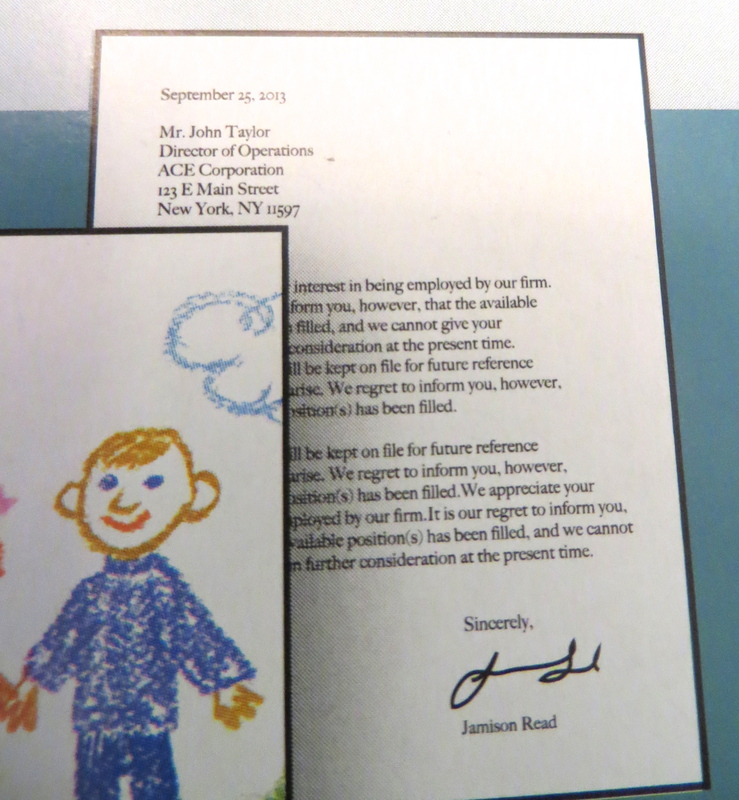 For some bizarre reason, the children’s drawing and letter on the lower right of the frame insert caught my attention. You can’t actually see the italicized words, but I’m filling in the blanks. It is a rejection letter!! Who would frame that?? I probably have an odd sense of humor, but I was simultaneously puzzled and amused by it. Next up is a video about a girl’s “first moon” party. I aspire to be like the mom in this video someday. Finally, I want to share the image below. I always enjoy a little self-deprecating humor. Tomorrow Derek takes the biggest test of his life. To say that I am proud of him is an understatement. I feel blessed to be with someone who handles such a stressful time with the grace he has exhibited. In honor of my husband, I want to share one of my favorite quotes about love.